Acorn™ has been demonstrating, applying and servicing Trumpf portable power tools for over 40 years. Demo Units Available: For an in-house demonstration on any product, contact Acorn™. 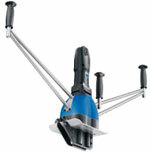 Click here to view more Beveling Tools. New TruTool TSC 2 can be operated by one person With an optional handle for one-man operation we are bringing a further development of our successful product to the market. The purpose-designed handle permits cleaning with one-man operation. 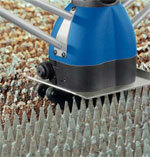 This makes slat cleaning even more efficient. Acorn™ can provide you with instruction and maintenance manuals for all current and past models.